This post is part of the Blue Bike Blog Tour, which I’m thrilled to be part of. To learn more and join us, head here. This is one of the biggies for me. And probably the hardest, most challenging-every-day part of my life. I believe in heating whole, clean, as-close-to-its’-natural-state-as-possible food, for me and my family. I’m intolerant to gluten and sugar, dairy and grains in general don’t agree with me, and forget anything artificial. I have an auto-immune disease that can be crippling, the symptoms of which are very much affected by my food choices. Basically, the cleaner I eat, the better I feel. You would think that would make the choice really easy for me, wouldn’t you? Eat well = feel great. Eat rubbish = feel like death warmed up. I am so very blessed to live in a wonderful part of the world where I have very ready access to beautiful, wholesome food. We have a small farmer’s market once a week that provides seasonal produce, and great fruit and veg shop sand butchers that provide a range of local/organic/fresh produce and meat. There’s really no excuse for not eating whole and clean, all the time. The biggest problem is what goes on in my head. I struggle constantly with want vs need, and I give in to the wants way too often. Sugar, anything baked, creamy cheeses, carby goodness, and my brain is satisfied – for all of about 30 seconds. It doesn’t take very long for my stomach to start processing. When I don’t eat well, I get tired, grumpy, foggy in the head and simply just don’t function well. I certainly don’t love well, that’s for sure. Reducing the amount of processed rubbish and replacing it with wholesome, home-cooked food is important to me, as it is one way in which I can love well. Love my family by taking the time to think about what will nourish their bodies and meals they’ll enjoy, and to prepare them and share in them together. Love my community by supporting local farmers and producers. Love this planet God has blessed us with by choosing food that hasn’t been modified or tampered with, or required being shipped thousands of kilometres (that is not to say that I don’t buy out-of-season or non-local food, because I do, I try to keep that to a minimum). Love the people I do life with by encouraging them to do the same, and walking alongside them in their own journeys to eating well. Loving myself and my body, being grateful for this amazing creation I am thanks to God, by making choices that only enhance my health and well-being. The choice to live like this isn’t hard. Resisting the temptation to give in to temporary, fleeting satisfaction in lieu of being intentional about what I eat because it is good for me, not just because I want it, is the challenge. There’s always going to be something. There’s always going to be something that will make me want to turn to comfort food, to seek out instant gratification, to feel like it’s too hard to fight the resistance. So I’m simply going to make a choice. 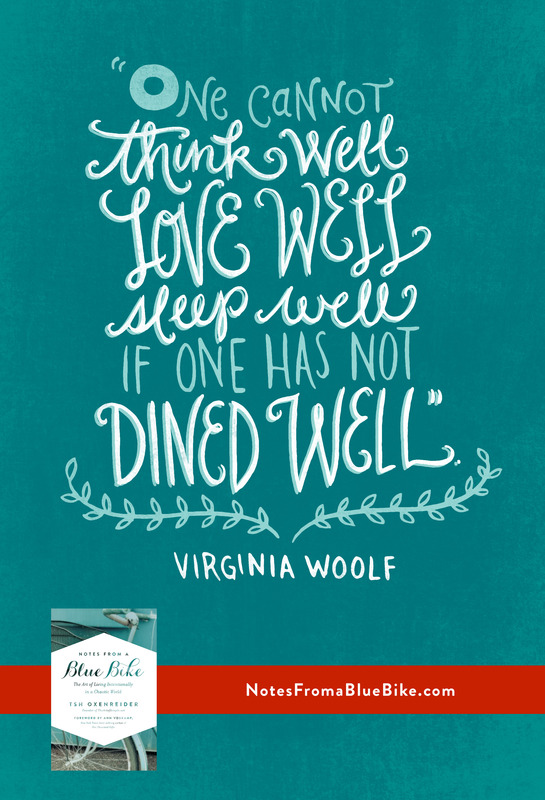 To eat well, and to love well. Lol Sue, we do often tend to travel similar paths, don’t we! !